A few days ago a friend of mine gave me a little bag of hair from her Meremma dog to try on my spinning wheel (Thanks Lynn). Today I tried it out. 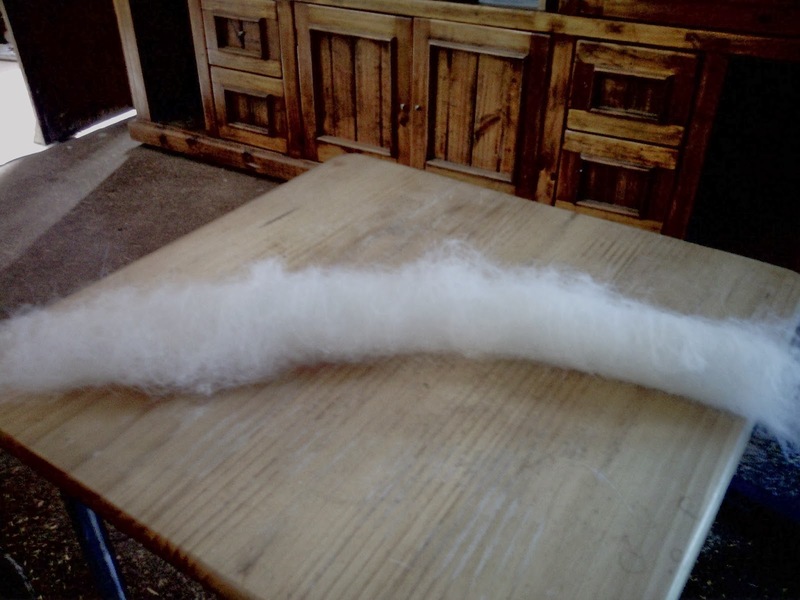 Using dog hair to make yarn is not a new fashion; ancient people made good use of the hair shed by pets and working dogs to make yarn for knitting and weaving cloth. This little bag of hair was a joy to work with, easy to comb, easy to spin and so soft. 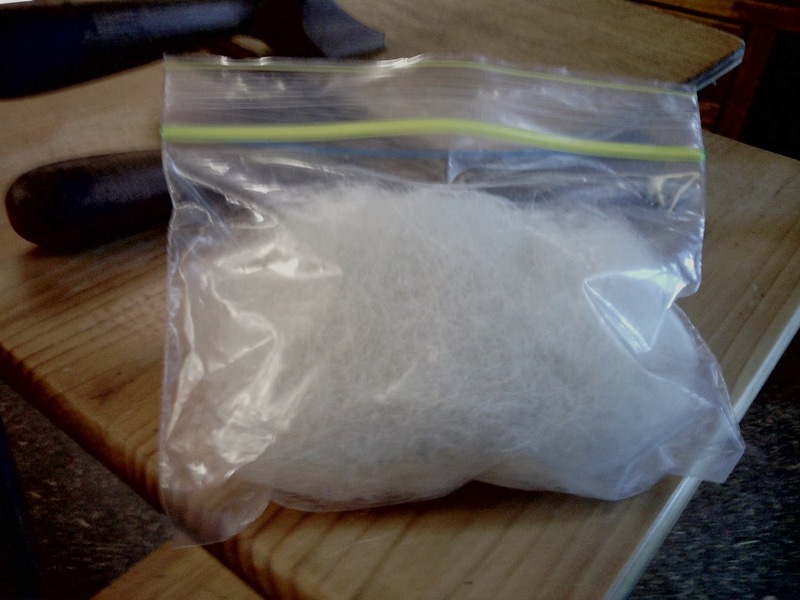 This one tiny bag of hair made many meters of yarn. The hair out of it’s bag. It is so soft I could fondle it all day. After several combings (from one carder to the other), the roving is ready to go. 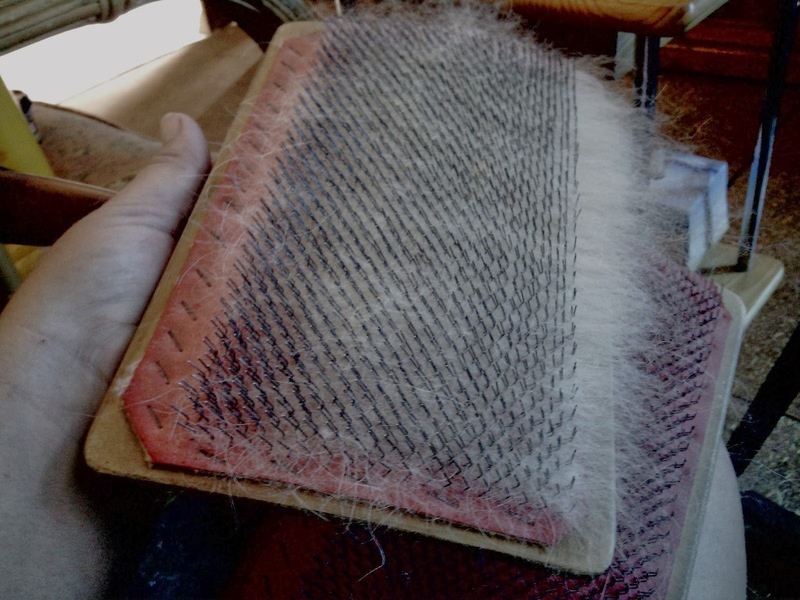 When you take the hair off the comb it becomes a fluffy batt. 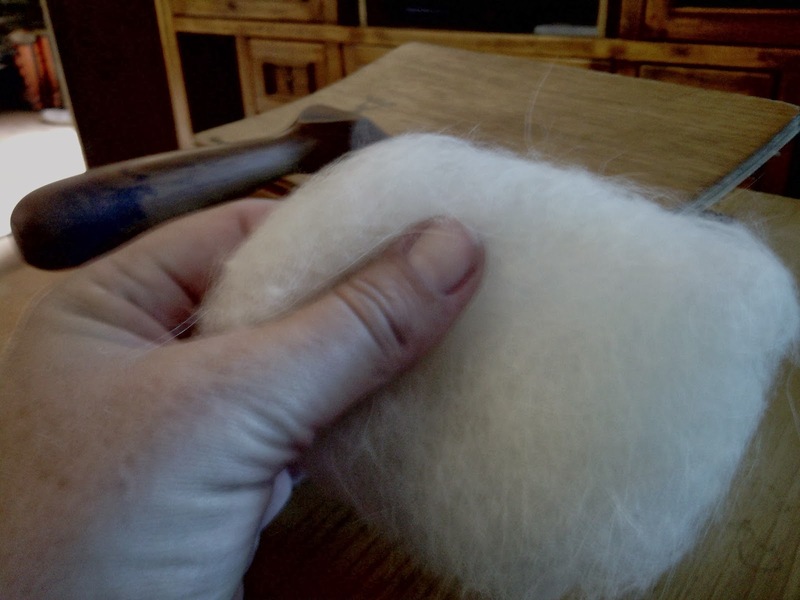 The batt is then rolled into a roving ready for spinning. 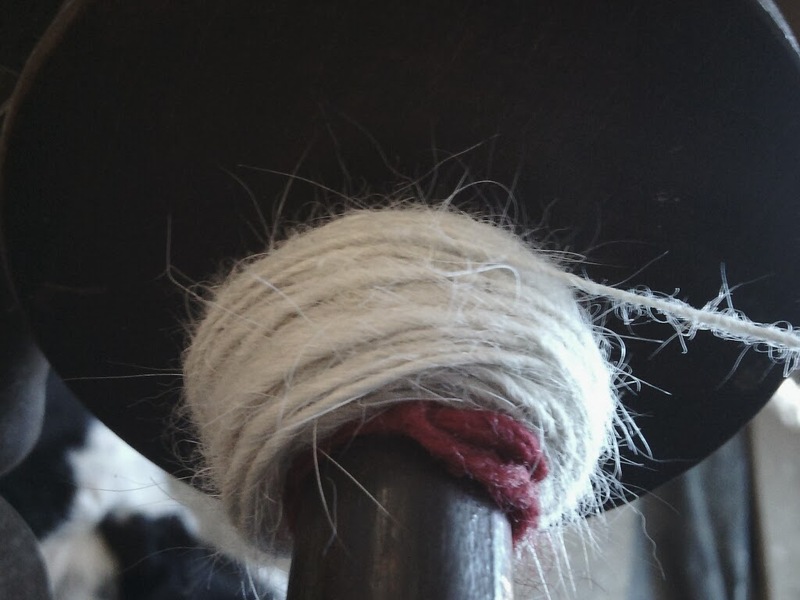 It spins a smooth, strong yarn. 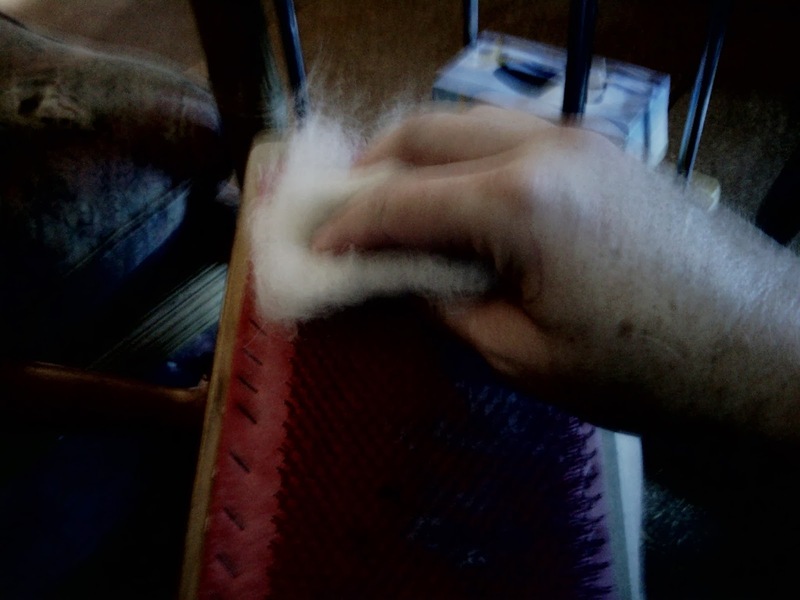 The resulting yarn (or single ply) looks like mohair but is much softer. I have enjoyed this little bit of spinning. 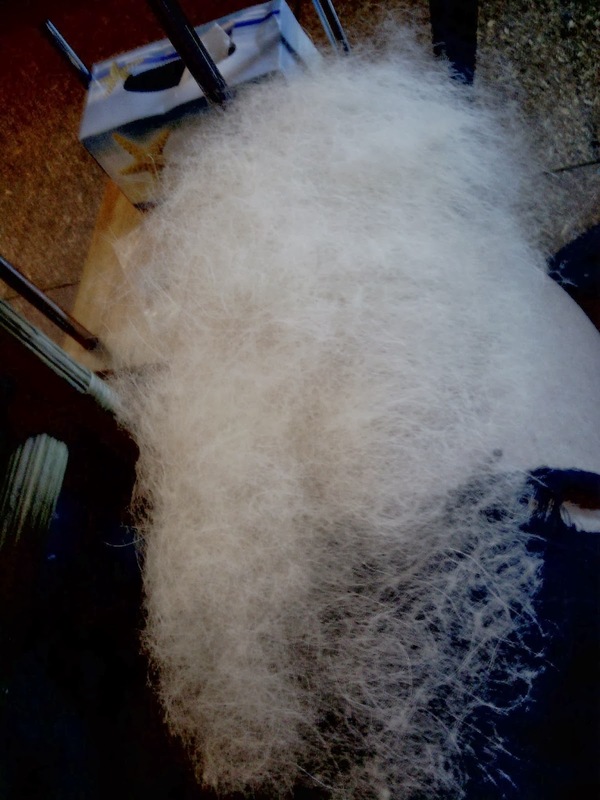 Now I will be asking my friend for more hair from her dog when she combs her so I can finish the rest of this reel and ply the single with wool to make a skein to knit a hat. reel; the piece of the wheel which stores the finished spinning. single; a single strand of spun fibre. Several singles are combined to make a yarn. 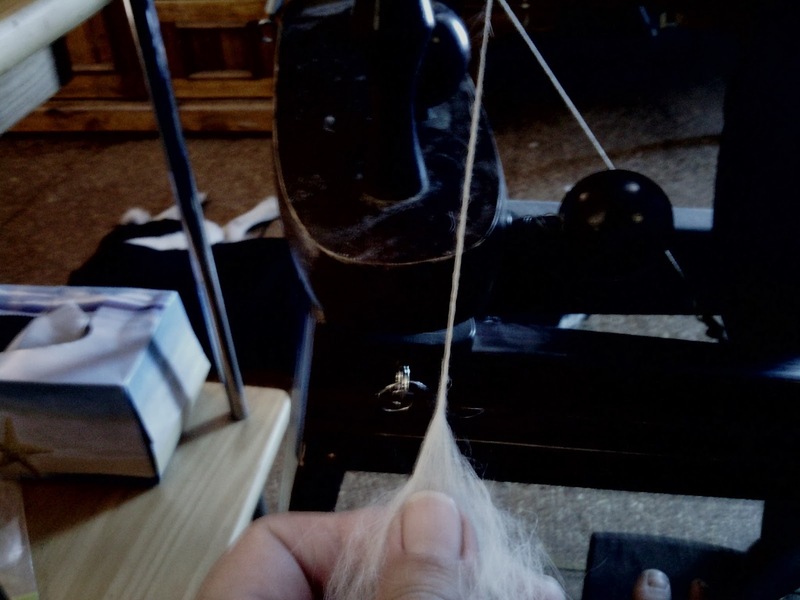 ply; twisting/spinning several singles together to make a yarn. Two ply is made with two singles, three ply is three singles and so on.